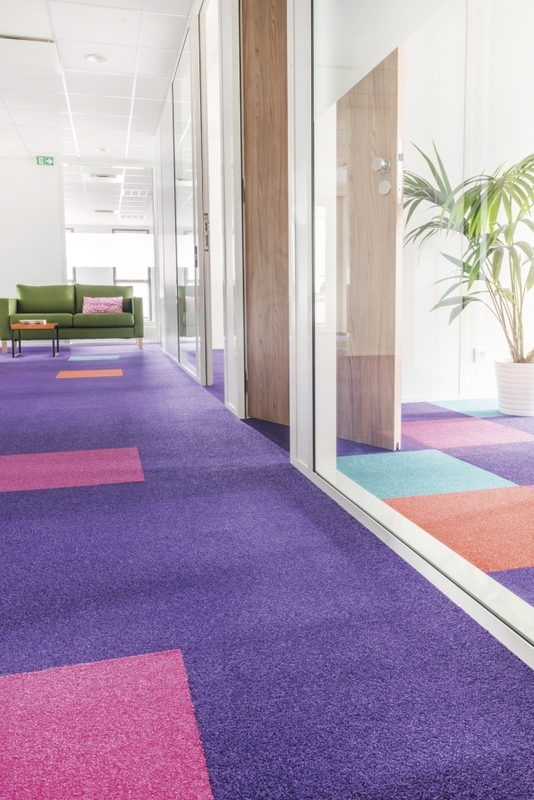 A cut pile, saxony carpet tile available in 38 modern and contemporary colours. Offering quality and prestige, this functional range offers a solution for all commercial environments. Also available as a 4 m wide broadloom carpet. Flammability: Cfl-s1 – glued on cement. Impact sound insulation: 28 dB. Castor chair: To BS EN 985. Light fastness (to artificial light): EN ISO 105B02.